How to Mix Fabrics and Patterns: See these three tips for guidelines for mixing and matching fabrics and patterns with your design schemes, color palettes, and throw pillows! 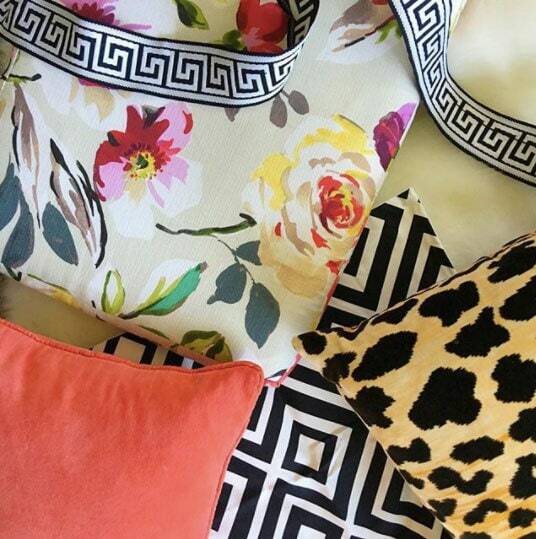 Mixing fabric patterns can seem daunting; but, it doesn’t have to be! Fabrics are meant to be layered and combined; but, doing it the wrong way will make it look like a hot mess. 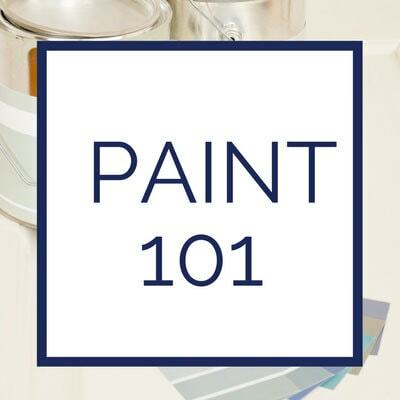 Follow my formula below and I promise your rooms will look great! Picking out fabric patterns or pillows for your living room (or any other room in your house) doesn’t need to be stressful! Worst comes to worst, you can return the pillows! If you follow these guidelines, you are sure to create a great combination! Without further ado, here are my top tips for picking out patterns and mixing fabrics in your home! *Affiliate links have been used at no cost to you. See my disclosure policy here. You can see two different options above. I like always using one solid pillow (or very large scale), one floral or medium scale pattern, and one graphic/ small pattern. What holds these very different pillow patterns together is that they are all of the same color. You want to vary small things–and one thing at a time! Elsewhere in our house, we use the same principles–as you can see in the graphic below. Each room has a large pattern, a smaller pattern, and a medium pattern. And in our kids’ spaces, we do the same thing! Even if we mix colors, we keep the scale varied! I love to use a graphic, a floral, and a solid in each room. Using an animal print is a great way to use a graphic element that also adds a little something unexpected! You can see in the picture below of the fabrics in our first living room design, I picked out 1) a floral 2) a graphic 3) a solid. I ended up ditching the graphic black and white because it was too busy and just used the animal print in lieu of it. By mixing up the fabric patterns sizes it will be visually interesting but not too busy! 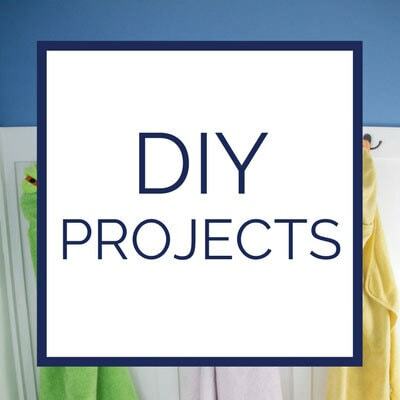 If you don’t want to use a solid, maybe use a solid with a ribbon detail (like a Greek Key–see my DIY Greek Key Curtains which were an Ikea hack!) or a small print. In our powder room/first-floor bathroom, you can see that I used a solid (white), a floral, and a graphic rug to complete the design. 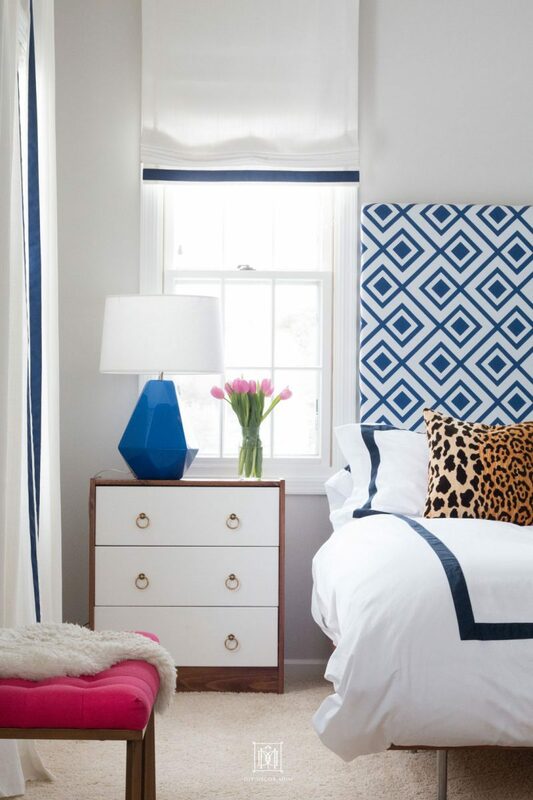 And in our master bedroom, I mixed a leopard pattern with a graphic pattern (headboard) and solids (white curtains). In our first living room, the colors were pink/ coral, black, and tan. This way the fabrics all “played nicely” with each other because there are common themes. But, it isn’t boring! A floral piece is always a great way to add some extra color as long as it picks up colors from the other pieces, and because there are so many colors in it, they almost always will! In my daughter’s room, we used pink, white, and green (multi) as colors. You can see how we also used different sizes and patterns too! Even in our kids’ bathroom, I used three different colors–blue, orange, and lime green. 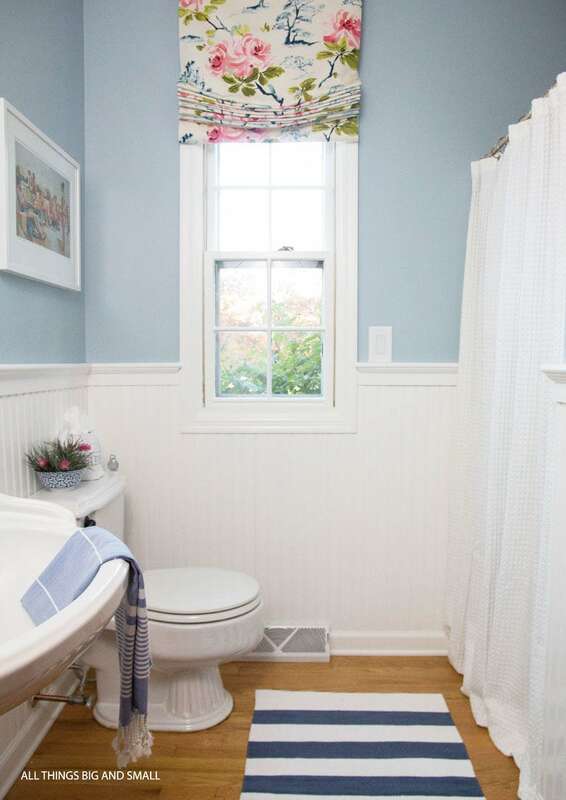 Notice that by using colors from the shower curtain in the curtains, the paint, and the bath mats it all comes together. 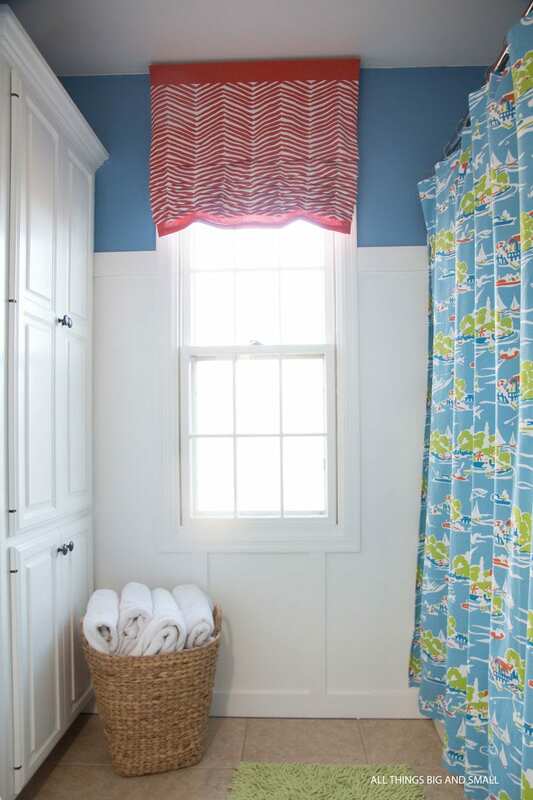 The shower curtain toile functions as a type of floral pulling it all together. Mix the colors but have one fabric that pulls it all together! Want some more examples? 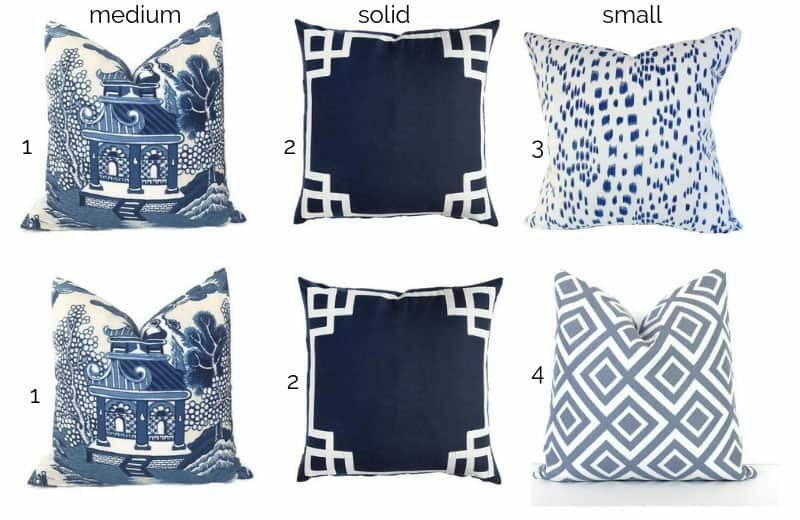 After receiving tons of questions on our living room pillows, I mocked up six different pillow combinations with different fabrics, so you could see how easy it is! 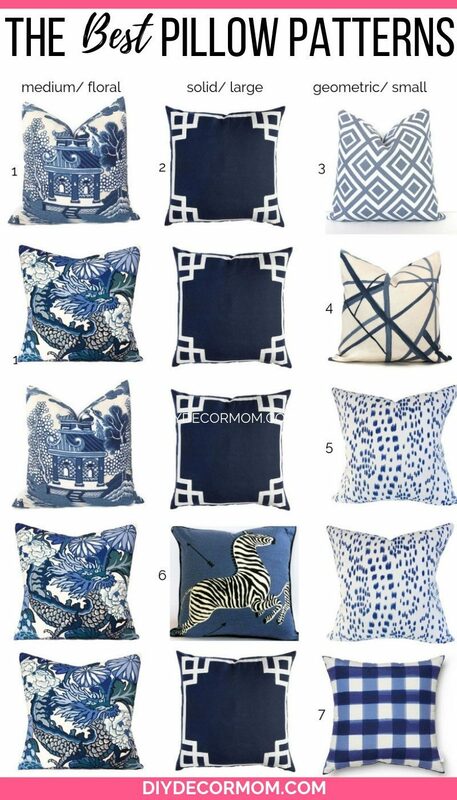 Sources for each pillow are below image with the corresponding number. As you can see, mixing patterns of fabric can be fun! It’s just like making an outfit! 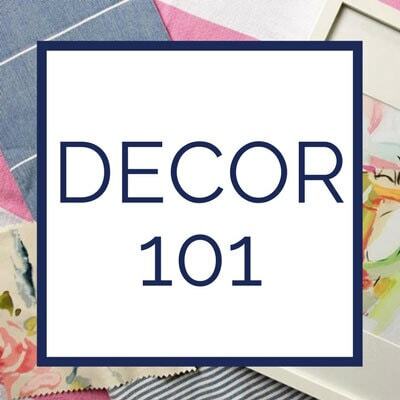 If you still aren’t sure, make sure to download my decorator’s cheat sheet! 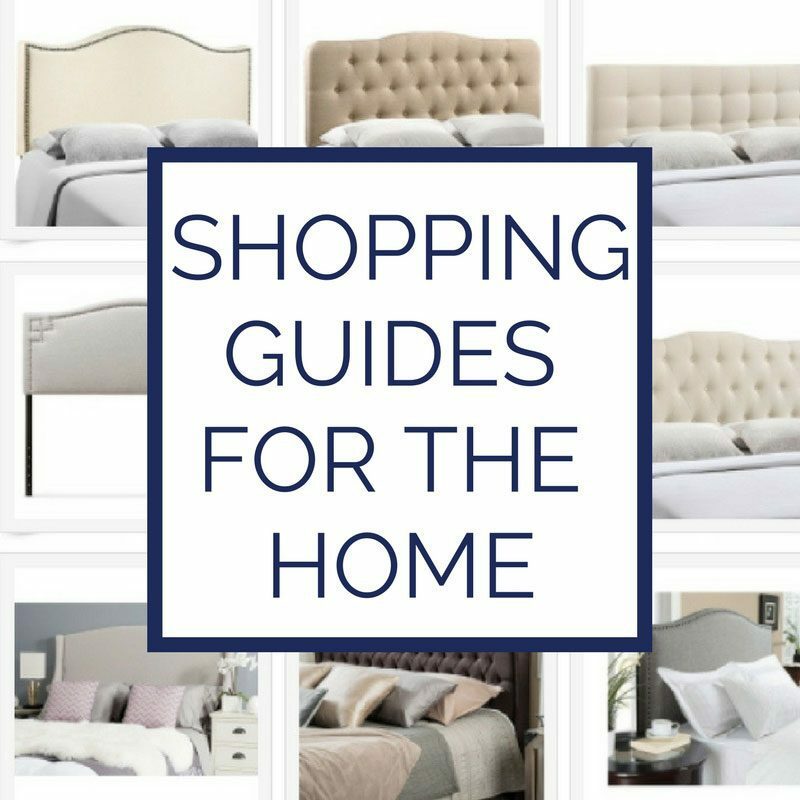 I have all my top tips, measurements, and home essentials in there so you have an answer to the most common questions! This post was made for me! Want to come over and help me setup my filming space?! I could use some help. The room is so incredibly boring. Love this! I 100% agree that leopard is a neutral. I just need to get some leopard pillows and ask for forgiveness from the hubs later. Great tips lady! I struggle with this so thank you! I’m looking for a new fabric to make drapes in my living room.. I’d love to pick a pattern instead of another solid or neutral. Can I please move in your house? Pretty please? Your styling is BEAUTIFUL, and I love how you break down mixing fabrics to a simple formula. These are great tips! Mixing prints is one of those style/design elements where it’s really easy to second guess your instincts. I love the look of this room. My mom is very good at this, as are my sisters, but I just don’t have the talent. Visiting from Blog Passion Project. When I get a house will you come and help me style it? I am in love with your ideas and execution! Ohhh I love this! 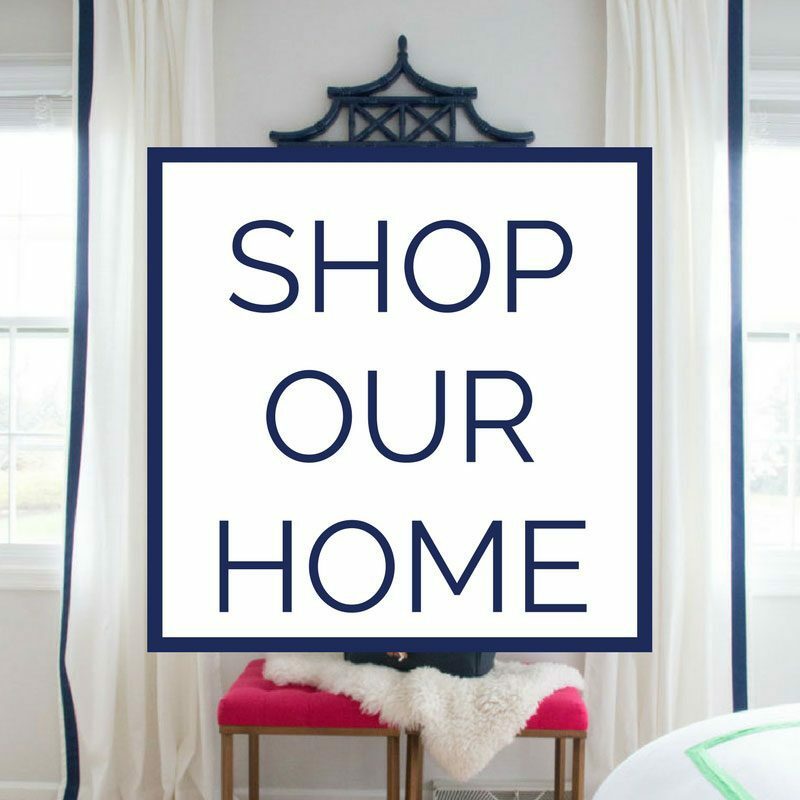 You can apply to this not only home decor but your wardrobe too. Love how bold you can be without coming off mismatched! This is so awesome! I am not good at fabric mixing so this helps a ton! I love this so much, as a soon-to-be new homeowner, lover of leopard, and print mixer! Mixing small with bigger patterns is a great idea – it’s the same with outfits! Welcome! 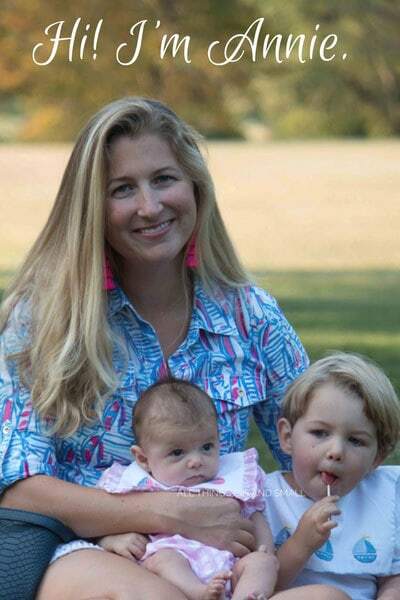 I’m a mom of three, wife, and DIYer. 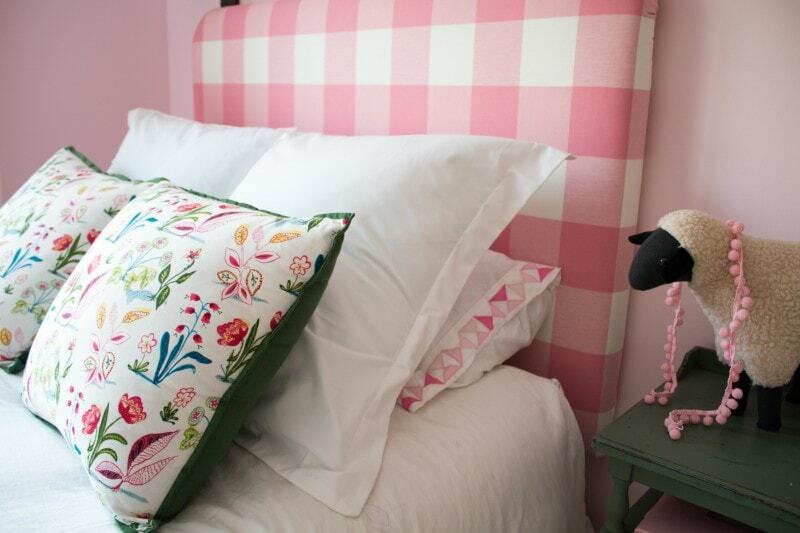 I love sharing easy ways to create a beautiful and kid-friendly home for busy moms.